For over 37 years Ploughshares Fund has supported the most effective people and organizations in the world to reduce and eventually eliminate the dangers posed by nuclear weapons. Our grantees, partners and community have made significant progress in cutting risks and reducing nuclear weapons stockpiles since their peak in the 1980s. Together, we can finish the job. Together, we can put an end to one of the greatest threats to our planet—and to future generations. Our impact today is greater than it's ever been – but enormous risks remain. Since 1993, there have been 454 confirmed incidents of illegal possession, smuggling, purchasing, or selling of nuclear or otherwise radioactive materials. The US President has the absolute and total authority to order a nuclear attack. Neither Congress nor any other governmental authority has oversight over a launch decision. There are still nearly 15,000 nuclear weapons left on the planet; over 90% are in the US and Russia, with the remainder in China, France, India, Israel, North Korea, Pakistan and the United Kingdom. There have been dozens of nuclear false alarms, yet the president has a mere 10 minutes to decide whether to launch an attack when an incoming strike is reported. Nuclear weapons do nothing to protect us from 21st century threats. 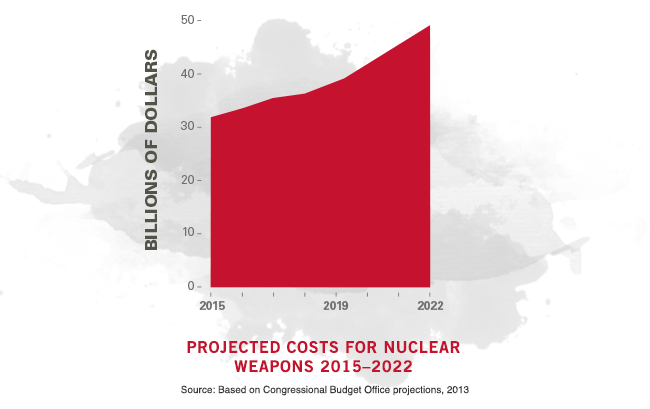 Yet the US government is planning to spend $2 trillion over the next 30 years to rebuild our arsenal—plans that could push Russia, China and other countries to build even more nuclear weapons. We act as the hub of a diverse network of thought leaders, innovators and campaigners, facilitating advocacy and media efforts to maximize the collective impact of our grantees’ work on nuclear threats. Our own specialized team of media savvy experts and advocates brings widespread attention to the issues that matter to us – and to our grantees – influencing the national narrative on nuclear policy. We take calculated risks, providing seed funding to explore uncharted strategies for reducing nuclear threats. This enables untapped innovative ideas and initiatives to take root, grow and thrive. Funded American and Soviet scientists who first demonstrated the feasibility of verifying a treaty banning nuclear weapon tests. Stopped the development of controversial and unnecessary nuclear weapons technologies like the 'bunker buster' in the post-9/11 era. Brought together 30 organizations in a campaign to win ratification of the New START Treaty, reducing US– and Russian–deployed strategic weapons. Supported crucial diplomatic efforts to stop the spread of nuclear weapons, including the historic 1996 treaty to ban all nuclear tests. We recently ran a five-year, $12 million campaign to forge a diplomatic solution to the Iran nuclear crisis. Our network of 85 organizations and 200 individuals—think tanks, media specialists, policy advocates, grassroots campaigners and many more—prevailed despite a fierce and well-financed opposition. The historic agreement of 2015 rolled back Iran’s nuclear program and prevented another war in the Middle East. Prevent a war with Iran in the wake of the US violation of the Iran nuclear agreement while supporting congressional and European efforts to sustain the agreement. Support diplomacy with North Korea to reduce tensions, avoid war and roll back its nuclear weapons program and maintain peace on the Korean Peninsula. Lead a coordinated effort to prevent a new nuclear arms race, blocking new nuclear weapons in our own country and working with our allies to freeze and cut nuclear arsenals in other nations. Address the root causes of conflict in regions at risk of nuclear war, such as South Asia, where tensions remain high between nuclear-armed India and Pakistan. Only together can we rid the planet of nuclear threats. We can’t do it alone. Our supporters have been indispensable partners over the past 36 years. And as a public foundation, we’re accountable for every dollar spent in this effort. So please join us in making sure we are all safe from nuclear weapons today, tomorrow and for generations to come. 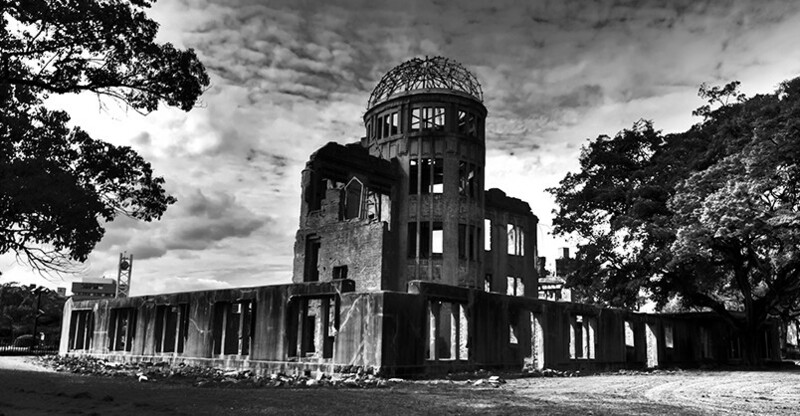 "Nuclear deterrence and the threat of mutually assured destruction cannot be the basis for an ethics of fraternity and peaceful coexistence among peoples and states. The youth of today and tomorrow deserve far more."